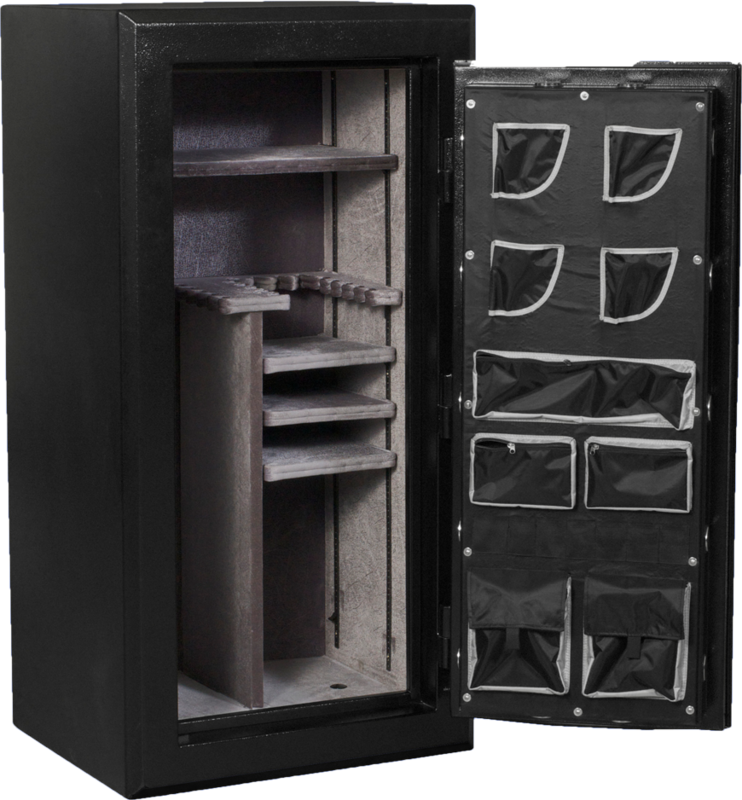 With a 28 long gun capacity, 4 configurable shelves, and a door lining organization system, StormX Gun Safes (2 Hour Fire Rating) are well equipped to store and organize most collections of firearms and accessories. The interior features 28 slots for positioning long guns, and 3 half width shelves that can be moved up and down and placed on either side of the safe. There is also a full width shelf that can be moved up and down in the top section of the safe. All shelves can also be removed for maximum long gun capacity. The door lining organizer includes 4 pistol holders, 5 pouches, and several slots which can be used to store more pistols, ammo, or accessories. 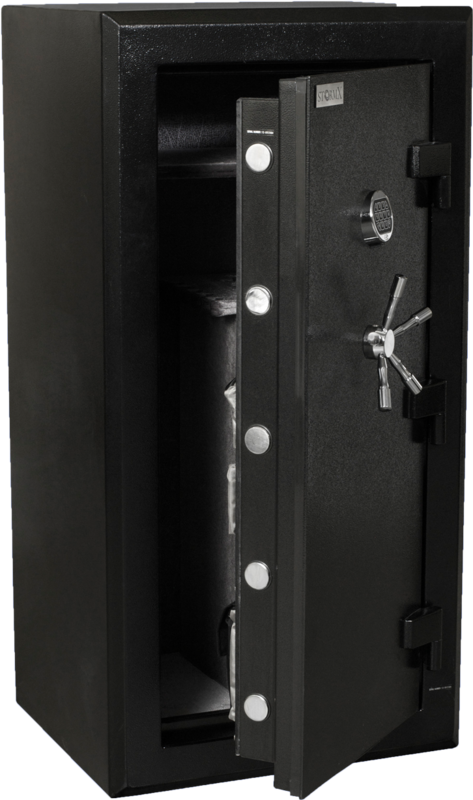 StormX Guns Safes (2 Hour Fire Rating) also provide a number of features to help prevent unauthorized access and incredible protection from fire. For ease of access the safes use a UL Listed Type 1 electronic lock and 5 spoke, center mounted handle. The composite door features 5 layers of 1/2″ fireboard, 2 Palusol® heat expandable door seal, and a drill resistant hard plate to offer excellent fire and burglary resistance. The body is made from 11 gauge steel and is lined with 4 layers of 1/2″ fireboard. This allows the safe to carry a factory 2 hour class 350° fire label.